See also: Category:Paintings of the Kunsthistorisches Museum. The museum's primary collections are those of the Habsburgs, particularly from the portrait and armour collections of Ferdinand of Tirol, the collections of Emperor Rudolph II (the largest part of which is, however, scattered), and the collection of paintings of Archduke Leopold Wilhelm, of which his Italian paintings were first documented in the Theatrum Pictorium. 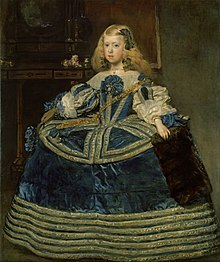 Diego Velázquez: Several portraits of the Spanish royal family, a branch of the Habsburg, sent to Vienna. One of the museum's most important objects, the Cellini Salt Cellar sculpture by Benvenuto Cellini, was stolen on May 11, 2003 and recovered on January 21, 2006, in a box buried in a forest near the town of Zwettl, Austria. It was featured in an episode of Museum Secrets on the History Channel. It had been the biggest art theft in Austrian history. The museum is the subject of Johannes Holzhausen's documentary film The Great Museum (2014), filmed over two years in the run up to the re-opening of the newly renovated and expanded Kunstkammer rooms in 2013. ^ The Office Of The High Chamberlain (Dec 31, 1906). Guide to the Treasury of the Imperial House of Austria. Vienna, Austria: A. Holzhausen. p. 12. ^ "Police find stolen £36m figurine". BBC News. 2006-01-22. Retrieved 2013-09-16. 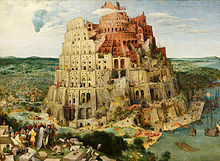 Pieter Bruegel the Elder was the most significant artist of Dutch and Flemish Renaissance painting, a painter and printmaker from Brabant, known for his landscapes and peasant scenes ; he was a pioneer in making both types of subject the focus in large paintings. The Albertina is a museum in the Innere Stadt of Vienna, Austria. It houses one of the largest and most important print rooms in the world with approximately 65,000 drawings and approximately 1 million old master prints, as well as more modern graphic works, photographs and architectural drawings. Apart from the graphics collection the museum has recently acquired on permanent loan two significant collections of Impressionist and early 20th-century art, some of which will be on permanent display. The museum also houses temporary exhibitions. Maria-Theresien-Platz is a large public square in Vienna, Austria, that joins the Ringstraße with the Museumsquartier, a museum of modern arts located in the former Imperial Stables. Facing each other from the sides of the square are two near identical buildings, the Naturhistorisches Museum and the Kunsthistorisches Museum. The buildings are near identical, except for the statuary on their façades. The Naturhistorisches' façade has statues depicting personifications of Africa, Asia, Europe, and the Americas. The Kunsthistorisches façade features famous European artists, such as the Dutch Bruegel, among others. Museo di Capodimonte is an art museum located in the Palace of Capodimonte, a grand Bourbon palazzo in Naples, Italy. The museum is the prime repository of Neapolitan painting and decorative art, with several important works from other Italian schools of painting, and some important ancient Roman sculptures. It is one of the largest museums in Italy. 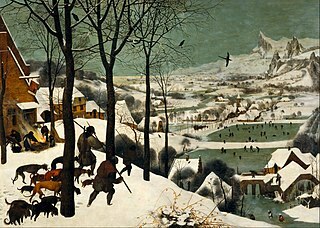 The Hunters in the Snow, also known as The Return of the Hunters, is a 1565 oil-on-wood painting by Pieter Bruegel the Elder. The Northern Renaissance work is one of a series of works, five of which still survive, that depict different times of the year. The painting is in the collection of the Kunsthistorisches Museum in Vienna, Austria. This scene is set in the depths of winter during December/January. 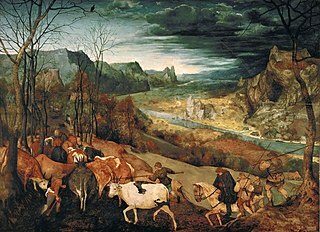 The Gloomy Day is an oil on wood painting by Pieter Bruegel in 1565. 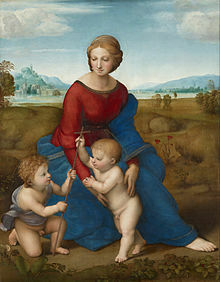 The painting is one in a series of six works, five of which are still extant, that depict different times of the year. The painting is currently in the collection of the Kunsthistorisches Museum, located in Vienna, Austria. The Return of the Herd is an oil on wood painting by Pieter Bruegel in 1565. 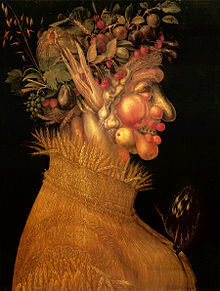 The painting is one in a series of six works that depict different seasons. The painting is currently in the collection of the Kunsthistorisches Museum, located in Vienna, Austria. The autumnal colors of the landscape and the bare trees connect this particular painting to October/November. The National Gallery is the primary British national public art gallery, sited on Trafalgar Square, in central London. It is home to one of the world's greatest collections of Western European paintings. Founded in 1824, from an initial purchase of 36 paintings by the British Government, its collections have since grown to about 2,300 paintings by roughly 750 artists dating from the mid-13th century to 1900, most of which are on display. This page lists some of the highlights of the collection. The Peasant and the Nest Robber is an oil-on-panel painting by the Netherlandish Renaissance artist Pieter Bruegel the Elder, painted in 1568. 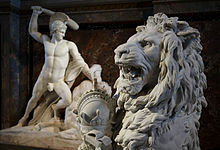 It is in the Kunsthistorisches Museum in Vienna. The Wedding Dance is a 1566 oil-on-panel painting by Pieter Bruegel the Elder. Owned by the museum of the Detroit Institute of Arts in Detroit, Michigan, the work was discovered by its director in England in 1930, and brought to Detroit. 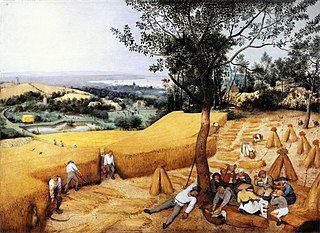 It is believed to be one of a set of three Bruegel works from around the same time, The Wedding Dance, The Peasant Wedding (1567) and The Peasant Dance (1569). Theatrum Pictorium, or Theatre of Painting, is a short-hand name of a book published in the 1660s by David Teniers the Younger for his employer, the Archduke Leopold Wilhelm of Austria. 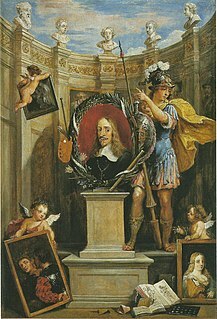 It was a catalog of 243 Italian paintings in the Archduke's collection of over 1300 paintings, with engravings of the paintings taken from small models that Teniers had personally prepared. A second edition with page numbers was published in 1673. Several oil-on-oak-panel versions of The Massacre of the Innocents were painted by 16th-century Netherlandish painters Pieter Bruegel the Elder and his son Pieter Brueghel the Younger. The work translates the Biblical account of the Massacre of the Innocents into a winter scene in the Netherlands in the prelude to the Dutch Revolt against Spanish rule, also known as the Eighty Years' War. Nicolaes Jonghelinck (1517-1570) was a merchant banker and art collector in Antwerp. He is best known for his collection of paintings by Pieter Bruegel the Elder and Frans Floris. His brother was the sculptor Jacques Jonghelinck.